There are many programs available on the web that will provide a user with crossword puzzles. Some websites tend to use a daily crossword system, sometimes created solely by human hand. But what many people might not realize is that often times, the crosswords they play are created through the use of crossword software. While there are various kinds of crossword software available on the web, they all tend to work in similar ways. They provide the maker of a crossword with an automated system for creating the crosswords they want. Many individuals who solve crossword puzzles do not think about the amount of effort that goes into individuals creating these puzzles by hand. This is where crossword software comes in. All an individual needs to do for many of these programs is to input a list of words and clues. The program will then create a crossword out of the given words. With crossword software, the time required to make a crossword puzzle is reduced immensely. No more spending hours attempting to find a way to put the pieces of the puzzle together. Some of these programs will not only allow users to create a crossword puzzle, but they will also create interactive crossword puzzles for use on the individual’s website. With countless people across the world who love to solve crossword puzzles, this can be an extremely effective means of drawing more traffic to the website. As great as crossword software can be, there are also certain limitations to it. Some of these limitations are not the fault of the program, either. Users might input too many words or a combination of words that cannot be used together well enough to create a good looking crossword puzzle. This can cause a user to become frustrated and believe that it is simply the programs fault. This problem can easily be rectified by choosing a larger crossword puzzle size or through changing some of the words for the crossword. Sometimes, a user might also dislike the first crossword that the program creates for the given set of words and clues. Luckily, most crossword software is able to create many different crossword layouts for a given set of words and clues. 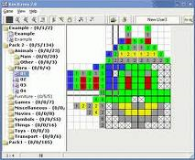 So for anyone seeking to create crossword puzzles for any type of occasion and for any reason, crossword software is definitely the best and most efficient way to create crossword puzzles.